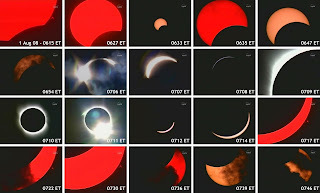 The August 1st, 2008 eclipse was a good one... that is if you were lucky enough to be in Russia or China at the time. 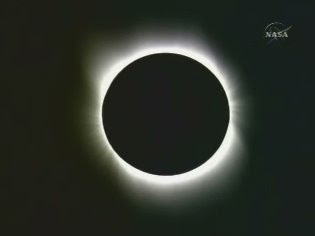 While not visible to the US, NASA does have some pictures of the eclipse. Some of the best are shown below. 0615 UTC - Early contact. 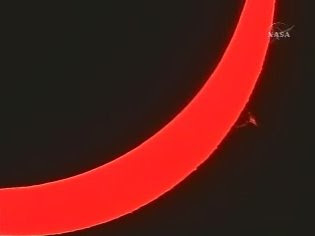 Note the prominence on the solar disk. 0717 UTC - Again, note the prominence on the edge of the disk. 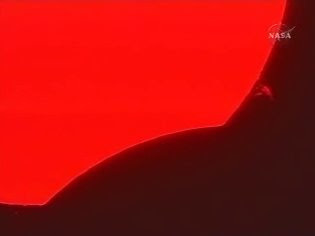 A sequence of the entire event. Click to see the full-size picture. Video of the event is also available here. Very good stuff you’ve normally distributed to us. Really continue authoring these specific content articles. The time period this was forfeited on flying designed for school fees at present it can also be utilized for analyses. At present please click Cash Advance and even get rid of one’s own a number of conditions. Bless you designed for exploring impartial.